This expansive home is mostly a one level floor plan with a private master bedroom suite on the split level offers privacy and lock off capability. In the elevated wing of the house, floors are made of sustainably harvested teak while walls and ceilings bring the exterior cedar to the inside. 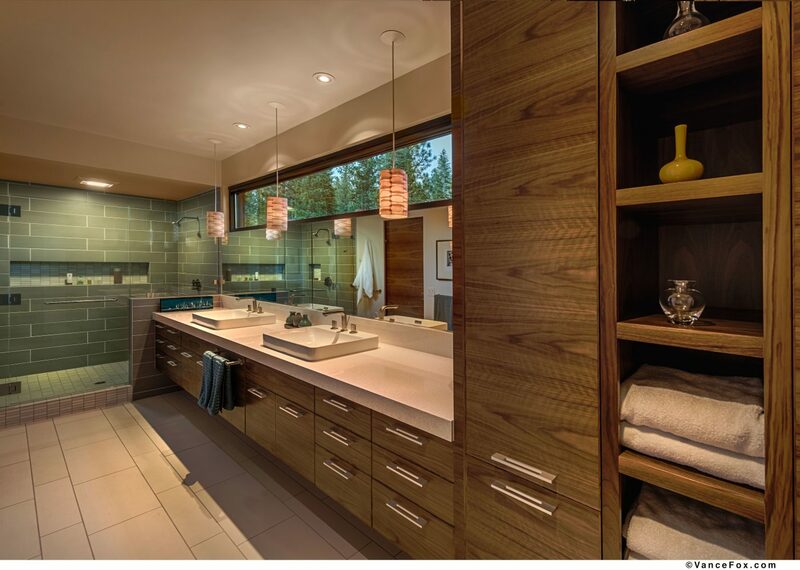 Fixtures on the other hand are a deeper-toned walnut to contrast slightly from the other timber palettes. "Creating a home that fit the landscape but didn't look like a hunting lodge or cabin was paramount." 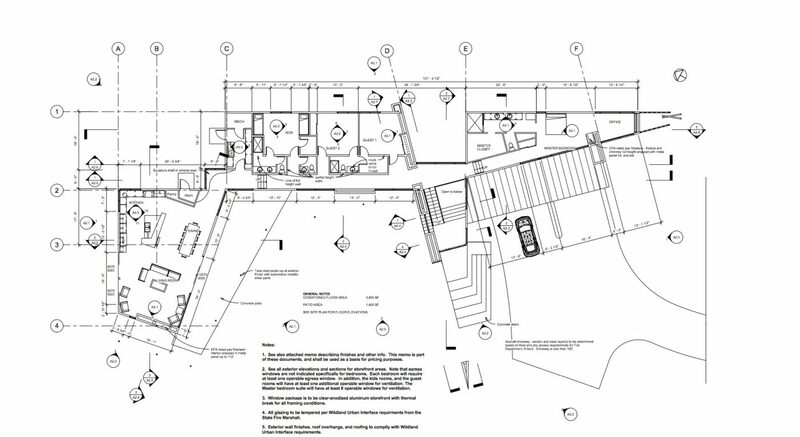 Pam Whitehead, Sage Architecture, Inc. The interior walls complement the arboretum-like grounds. The walls of the kitchen are unstained cedar; the cabinetry throughout the home is all-natural walnut. The floor of the main hallway is reclaimed teak, while the great room is lined with polished concrete. 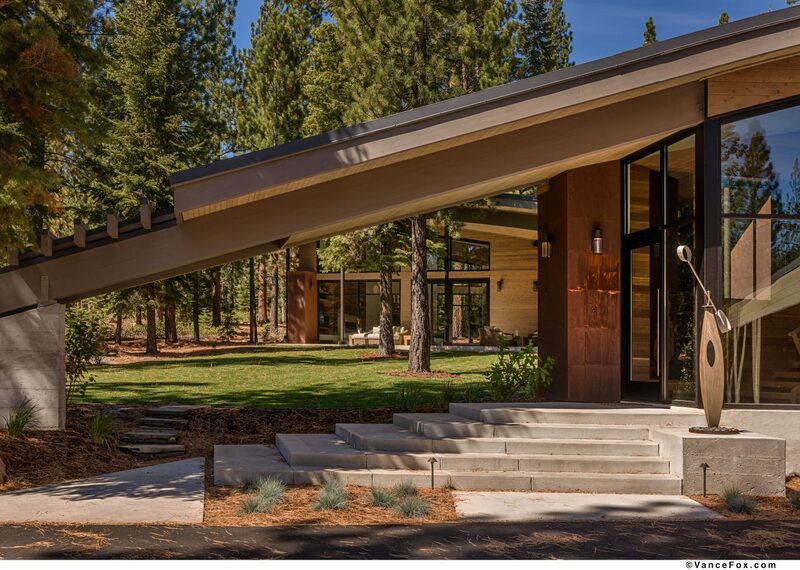 Explore this midcentury modern mountain home in our 3D Tour below and discover why this exceptional architectural marvel is like no other. The great room is set firmly on the ground with an exposed concrete slab-on-grade floor that contains radiant heating and serves as thermal mass collecting natural heat from the sunlight. The shape of the roof is carefully designed so as to shade the interior during the summer but it’s curving form opens more surface area in the winter time for natural light and welcomed heat gain. As the topography slopes to a lower elevation, the structure gradually rises under a skyward-sloping canopy until ending in a suspended glass box providing more of a tree house experience amidst the surrounding foliage. Placing a premium on the natural wonders of Martis Camp, Sage Architects have created bountiful outdoor living experience on this 2.07 acre estate lot, with a large lawn, outdoor sound system, extended WiFi and a patio & deck that are prepped for power and natural gas, to easily construct a custom outdoor kitchen, hot tub or fire pit. And don’t forget the dog lovers – the home is equipped with the furry friends in mind with perimeter dog fencing, dog door and dedicated secured dog run area off the laundry room. 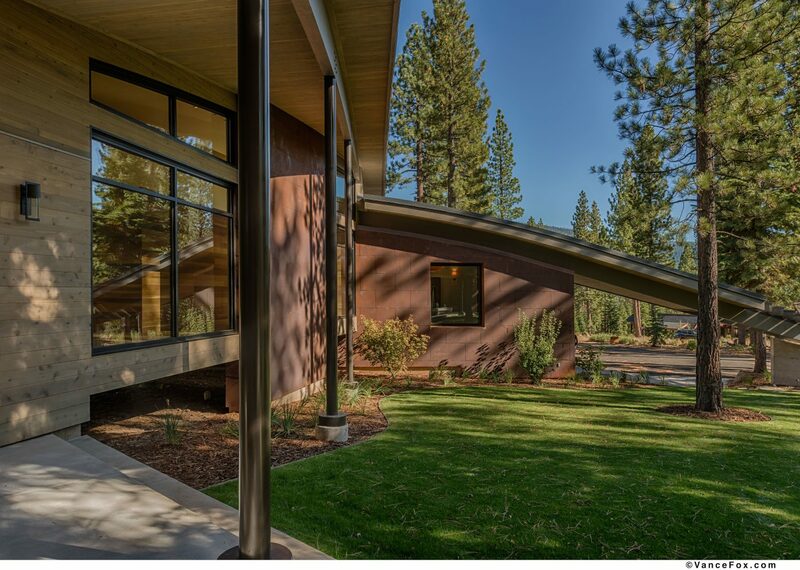 The heated three car garage, with built-in sports storage, makes it easy to take advantage of this home’s close proximity to Martis Camp’s epicenter of recreation at the Family Barn. With the Club Lodge also an easy walking distance, this modern estate is perfectly conducive to a lifetime of incredible memories.